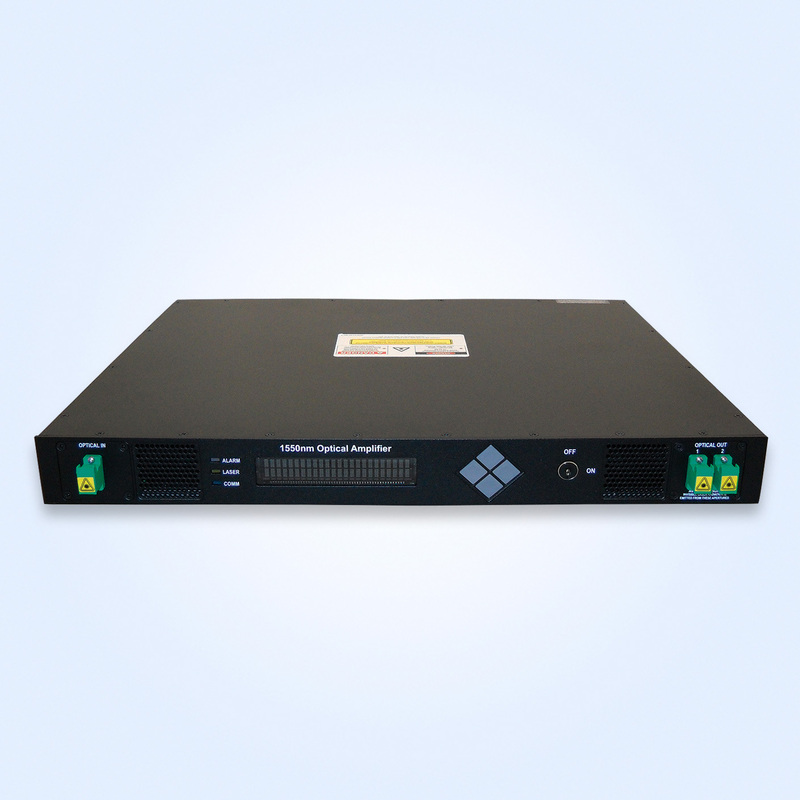 The Medallion 7110 series product line is a family of state-of-the-art high performance CATV Erbium/Ytterbium Doped Fiber Amplifiers (EYDFA). Packaged in a convenient 1 RU housing, this line of fiber amplifiers has been optimized for superior output power stability and the exceptionally low noise figures demanded by CATV applications. The Medallion 7110 provides very stable optical outputs over a wide operating temperature range. Internally it is supported with input and output isolators for enhanced system stability and performance. Optical power is continuously monitored at the input and output for automatic power control during operation over a wide operating temperature range. The Medallion 7110 offers a full range of flexible configurations and a rich set of features. These include remote management capability through SNMPv2, Telnet and a resident Web Server. The Medallion 7110 also supports MIBs specified by SCTE (Society of Cable Television Engineers) for this product class. For local management, an RS-232 port is standard, along with a convenient front panel control menu provided on a Vacuum Fluorescent Display (VFD).